For a spectacular view of the Città Bassa while you sip un aperitivo in the Città Alta, visit the Caffè della Funicolare. 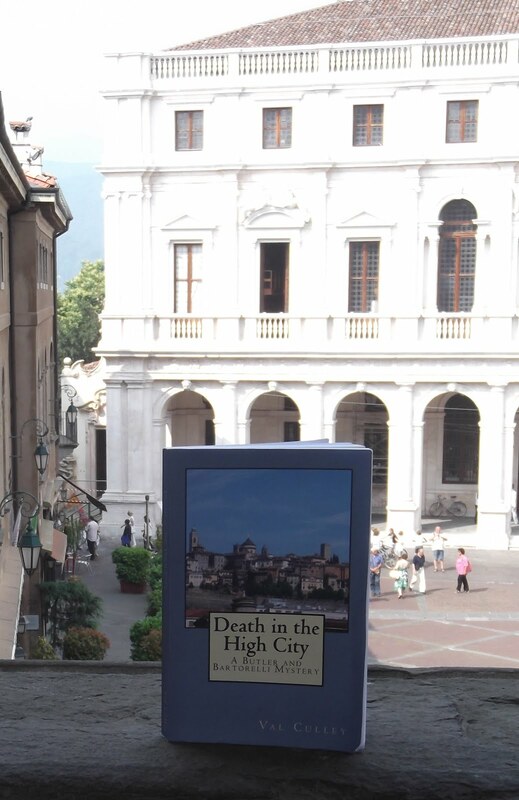 Located within the funicular station in Via Porta Dipinta (see map below), just off the Piazza Mercato delle Scarpe, the Caffè has a balcony from where you can enjoy one of the best views of Bergamo’s lower town, whether by day, or when it is lit up at night. The elegant Caffè is popular with both local people and visitors and is open from 8 am until 2 am every day except Tuesday. In addition to snacks and drinks, the Caffè serves meals featuring local produce and some of Bergamo’s speciality dishes. The funicular station in the Città Alta is housed in a 14th century building that used to belong to the Suardi family, who were influential in Bergamo's history. For more information about the Caffè’s menu, telephone 035 210091.